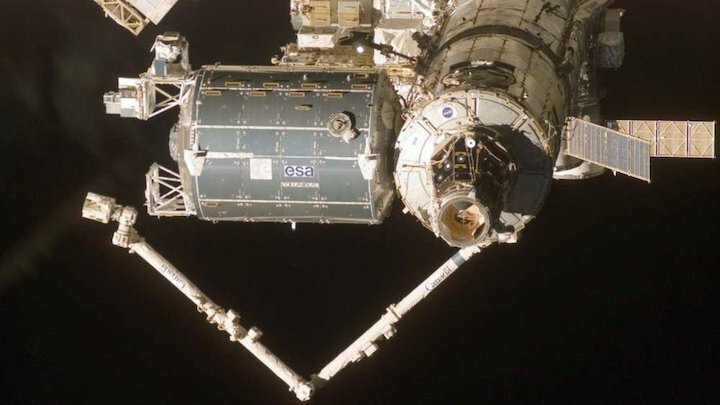 The European Space Agency's Columbus module on the International Space Station is covered in hundreds of dents from space debris, according to new scans, but astronauts are not in immediate danger. 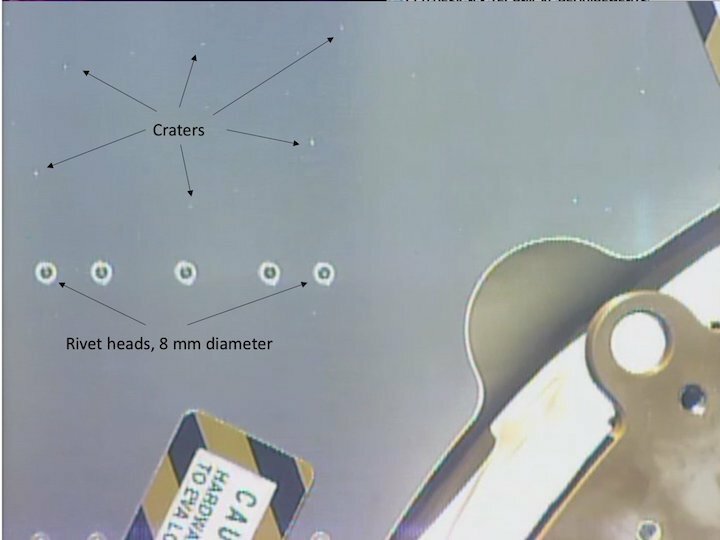 A new scan of an International Space Station module shows several hundred impact craters from "marauding" debris, according to the European Space Agency. But so far, the hull of the European Columbus science laboratory is doing its job in protecting astronaut crews. After nearly 11 years in orbit, Columbus shows wear and tear from tiny meteorites striking its surface, as well as from possible bits of human-generated space debris, according to a statement from ESA. Agency officials haven't expressed any concerns about the damage yet, but this new information will better feed into models of orbital debris density near Earth. The ISS typically hosts three or six astronauts, who remain on board for six months at a time; it has been continuously occupied since 2000. The oldest module of the ISS (Zarya) flew in 1998, while Columbus was sent aloft in 2008. There's a small but real chance that some space debris could put a hole in the station and cause a leak. That hasn't happened yet. There was a drop in space station air pressure in 2018, but that was quickly traced back to a Soyuz spacecraft. The hole in the spacecraft likely happened during assembly or testing, according to reports in September. A scan of the International Space Station's Columbus module by the Canadarm2 robotic arm. Detlef Koschny, an expert from ESA's Planetary Defence Office, which focuses on space safety and security, was among the European scientists requesting the scan. "These little dents in the outer part of the Columbus module show how the space around Earth is not so empty after all," he said in the ESA statement. "They also show what a good job the ESA-built module is doing to protect astronauts living and working in space." Small craters in the International Space Station's Columbus module as observed by the Canadarm2 robotic arm starting Sept. 6, 2018. ESA's Space Debris Office plans to use the scans to update or validate current models describing the impact risk to spacecraft or space stations, such as ESA's Meteoroid and Space Debris Terrestrial Environment Reference (MASTER). "This study allows the team to better understand the density of human-made debris particles at the orbital altitude of the space station, in comparison to the natural micrometeorite density near Earth, both of which are important for constructing models to help us understand the risks of the meteorites marauding through space," ESA officials said.